Michigan is calling the bluff, so far. A new Department of Justice legal reading of the 1961 Wire Act was handed down earlier this month, leading to a strong reaction from the gaming industry. Effectively, the memo came thanks to the lobbying of long-time online gambling opponent Sheldon Adelson, owner of the largest brick-and-mortar casino company in the world. The memo has been widely dissected, but the bottom line right now is that it’s just a memo in the absence of any enforcement action based off what it says. The opinion did cause the state of Pennsylvania to indicate that changes will be made to ensure that all forms of state-sanctioned gambling are happening entirely intrastate. The Wire Act applies strictly to interstate activity. Still, the decades-old law and the latest interpretation of it reeks of trampling on states’ rights when it comes to gambling. The state of Michigan hasn’t legalized online casino gambling yet, unlike Pennsylvania, but the Wolverine State is so far unfazed by the feds. 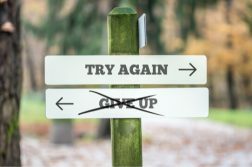 Both Michigan and Pennsylvania have active online lottery industries, which also could potentially be in the legal crosshairs under the vague and convoluted new Wire Act interpretation. 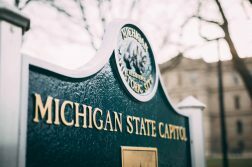 As rumors swirled late last year regarding a new DOJ opinion on the Wire Act, Michigan lawmakers from both political parties weren’t too worried. A package of gambling bills, including the legalization of online casino gaming, was sent to desk of outgoing Gov. Rick Snyder, a Republican. Snyder shocked even members of his own political party by vetoing the proposal, effectively saying that he wasn’t sure about more gambling in Michigan at this juncture. It was a very unexpected move by Snyder, who prevented the state from enacting a consumer protection and revenue-generating law on his way out the door. Michigan State Rep. Brandt Iden, a Republican who sponsored the Michigan Lawful Internet Gaming Act during its two-year trek through the legislature, was part of an ICE North American webinar last week that focused on the impact of the Wire Act memo. Iden reiterated that Michigan is moving forward with another stab at online gambling, despite the DOJ memo. There’s real promise this year, thanks to a newly elected governor who many feel will be receptive, and thus supportive, of a plan to modernize Michigan’s casino market and protect consumers from offshore, black-market platforms. Iden pointed to the success of the New Jersey online gambling market, which includes sports betting, as a reason why Michigan, and other states, aren’t going to miss out on the opportunity thanks to a half-baked memo coming out of D.C. Memo meant to scare some states? The new Wire Act interpretation doesn’t carry with it the force of law, so it’s really just a scare tactic at this point. Again, Michigan isn’t buying it. Iden said that his legislation already included provisions for online gambling servers and related equipment to be housed in a Michigan casino, and not located in another state, which he thinks will help minimize legal risk for the state’s new industry whenever it launches. “I think that this is going to be key going forward,” Iden said with regard to the servers and equipment. An idea that has been floated in numerous places suggests having states challenge the Wire Act interpretation prior to any potential enforcement action. 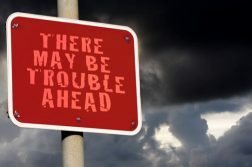 According to Iden, lawmakers and other officials in Michigan are unlikely to commit state resources to fight against federal overreach prior to the actual act of overreach. New Jersey spent more than $8 million in legal expenses to have PASPA overturned. It was well worth the expense, but that strategy isn’t for every state. Iden questioned why a state should use part of its budget to file a lawsuit over the memo. The re-introduction of the Michigan Lawful Internet Gaming Act, which seeks to also pave the way for sports betting, could happen in February.